Are you a proponent of the so-called efficient market hypothesis, which assumes that at any given time, all information about a company is reflected in that company’s stock price? On a less cerebral level, do you believe that cliches become cliches for good reason? If your answer to either of these questions is a (convicted) “yes,” then you might want to dive into GE stock sooner than later. See, GE is arguably at a major bottom, with nowhere to go but up in the near or distant future. Yes, scooping up GE stock now feels like you’re trying to catch a falling knife. That’s the test of your faith in cliches or the notion of an efficient market though, buying a stock when every sense tells you not to. To say things have been rough for General Electric, and by extension for owners of GE stock, since the end of last year. The dividend has been halved thanks to ever-shrinking cash flow, the CFO announced in October he was leaving just months after former CEO Jeff Immelt stepped down, and Moody’s cut GE’s credit rating last month. The end result? GE is now trading 43% lower than it was at the end of last year, with things (literally) not able to get any worse for the struggling industrial company. And if things can’t get any worse for General Electric, and if all available information is reflected in a stock’s price, and if cliches become cliches for the right reason, why wouldn’t you want to buy GE stock here? Almost needless to say, there’s plenty of fear surrounding GE stock right now. Maybe there shouldn’t be. There’s certainly plenty of evidence that turnarounds can materialize in the midst of dark times for companies, with doubters standing by denying it was happening until it didn’t matter anymore. Take none other than Apple Inc. (NASDAQ:AAPL) as an example. In 2002 the market was treating the company like a has-been. Big mistake. Steve Jobs started making Macintosh computers cool again by 2004, and three years later the introduction of the first iPhone changed the world. Best Buy Co Inc (NYSE:BBY) comes to mind as well. Amazon.com, Inc. (NASDAQ:AMZN) should have crushed it by now, but lo and behold, the electronics retailer has been revived. The counterargument is, of course, for every Best Buy or Apple story, there are five stories like those of Rite Aid Corporation (NYSE:RAD), Toys R Us and Sears Holdings Corp (NASDAQ:SHLD). Each had their chance at reversing their misfortunes, and just couldn’t. 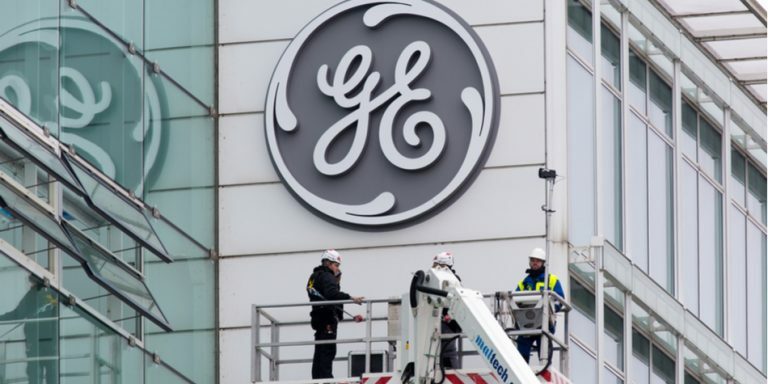 Respectfully to Sears, Rite-Aid and Toys R Us fans, however, General Electric is starting its turnaround effort with some valuable pieces and parts, aiming at markets that aren’t changing with the speed at which the retail environment is changing. Just so there’s no misunderstanding, new positions in GE stock aren’t for the faint of heart. Even if the worst for the stock and the company is in the rear view mirror, any turnaround effort is going to be tough, and the stock’s apt to be sickeningly volatile for the foreseeable future. The company has to explain in detail how it’s going to turn things around. It’s just the nature of the beast. On the flipside, if only to offset the backwards-looking pessimism that’s been and remains brutal to General Electric stock, you won’t get an encouraging word from many analysts and professional stock-pickers until there’s seemingly more reward than risk packed into GE stock. Problem is, by that time, the meat of the rebound gains are behind you rather than in front of you. It’s a risk to be sure, but it’s not an idea too crazy to entertain. Level-headed investors have made crazier decisions than buying GE stock right now would be. Article printed from InvestorPlace Media, https://investorplace.com/2017/12/ge-stock-reasonable-buy/.